In federal court, the lawyer for a Honduran man seeks a dismissal, but a state trooper defends his actions in stopping a van with a cracked windshield on I-295. The attorney for a man charged with illegally re-entering the United States presented police video recordings in federal court Wednesday that he says show a state trooper’s decision to stop and detain a van filled with Spanish-speaking men on Interstate 295 in Portland was a case of racial profiling and an unlawful detention. Maine State Trooper Robert Burke III said in U.S. District Court that he pulled over the van carrying about a dozen immigrants on Sept. 9 because it had a cracked windshield and the front passenger was not wearing a seat belt. But defense attorney Robert Andrews presented video clips from Burke’s dashboard camera that he said showed Burke was more interested in the occupants’ immigration status than in the seat belts or cracked windshield. “ICE” is the acronym for U.S. Immigration and Customs Enforcement. 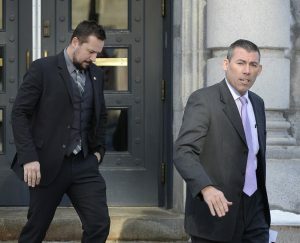 Assistant U.S. Attorney Jonathan Chapman, the prosecutor in the case, said after the hearing that he could not discuss the case or answer questions about the state troopers’ conduct. But he defended Burke’s actions in a Nov. 9 court filing as a routine investigation that did not breach any protocols. Chapman said Burke had reasonable grounds to suspect that the defendant, Mario Ernesto Garcia-Zavala, was in the country illegally. Chapman said that suspicion was based on Garcia-Zavala’s Honduran identification and his inability to speak English. Whether non-citizens have the same constitutional rights as U.S. citizens is a focus of ongoing legal debate. Courts have ruled that all people in this country, including those here illegally, have many of the same constitutional rights, but they also have held that immigrants facing deportation proceedings do not have all the same rights to due process as citizens have. In this case, Andrews maintains that no one can be stopped and questioned without a reasonable suspicion. Garcia-Zavala is 22 years old and a citizen of Honduras. He was first arrested by the U.S. Border Patrol in Texas in March 2014 for being in the United States without permission or legal status. He was deported that April, according to court records. It is not clear how long he had been back in the United States before the traffic stop in Portland on Sept. 9. The men in the van lived in South Portland at the time and were co-workers at an unidentified industrial site, Andrews said. Court records say Garcia-Zavala admitted to the state trooper who pulled the van over that he was in the country illegally and presented identification issued by the Honduran consulate. It is a federal felony to re-enter the U.S. without permission after having been deported. Garcia-Zavala has since pleaded not guilty. He likely faces deportation regardless of the outcome of the criminal trial, but is fighting the charge to avoid having a felony record. Except for his 2014 arrest and deportation, Garcia-Zavala has no criminal record, his attorney said. The video now entered into the court record shows Burke and Cooley making fun of the men after the traffic stop. At one point, the troopers try to count in Spanish. At another point, Burke referred to an informal competition between himself and another trooper about who could arrest the most people that month. Burke explained in court Wednesday that the competition was for total arrests, not deportations. When questioned by a reporter about the stop in September, a Maine State Police spokesman initially told the Portland Press Herald that immigration officials were called to help overcome the communication barrier. It took the ICE agents 30 minutes or more to respond in this case. McCausland acknowledged that the officers could have called on available translators, but chose not to. However, McCausland also said at the time that the ICE agents were called because the failure of the men to provide identification raised the issue of immigration status. In the video, Burke seems focused more on immigration status than on finding a translator. Upon his return to the cruiser after first speaking with the driver and passengers in the van, Burke calls ICE Deportation Officer Elliot Arsenault. Asked on the stand whether he makes such calls to ICE on a regular basis, Burke said no but that he had two or three time previously. On Sept. 9, Burke was sitting near the intersection of Veranda Street and Washington Avenue when he saw the van pass. Burke said he stopped the van as it got on I-295 because it had a broken windshield and the front passenger wasn’t wearing a seat belt. Nobody had a valid U.S. ID, but a few of the men produced identification cards from Mexico, Honduras and El Salvador. The exact number of passengers wasn’t clear because the court records include different numbers. Burke would eventually arrest the driver, Rudolfo Ramirez, for driving without a license. That decision was made after ICE informed Burke that Ramirez was already undergoing an immigration removal proceeding. It was not clear how many of the other men faced immigration enforcement actions, although at least some of them were detained. During the stop, a passerby who is an attorney and an immigration attorney and heard about the incident tried to communicate with the van’s passengers. In the video, the troopers repeatedly warn the two women against getting involved. One of the officers said on the video that he came close to arresting a woman who stopped to speak with the men. Andrews, the defense attorney, is arguing that Burke violated the Fourth Amendment rights of his client as well as the other passengers by detaining them after the traffic stop and asking for their identification. He has asked the court to suppress evidence of his client’s identity. Burke, however, testified that he had two reasons for asking for everyone’s identification. First, he planned to cite each person for not wearing a seat belt. And second, he wanted to find out if there was anyone licensed to drive the van, so it wouldn’t have to be towed. Judge George Singal is expected to issue a ruling after both sides file additional briefs within the next month. Andrews tried to make the case in court Wednesday that Burke deliberately slowed down the investigation so ICE could arrive on the scene. The entire traffic stop took about two hours. Burke maintained in court that the delay was justified. “I would say that I wasn’t moving as fast as I could have with some things, but I had to wait for a tow truck anyway,” Burke said in court. Andrews played one portion of the dashboard camera video 39 minutes into the traffic stop, when Burke decides to write a ticket. The full video suggests Burke had other reasons for moving slowly. 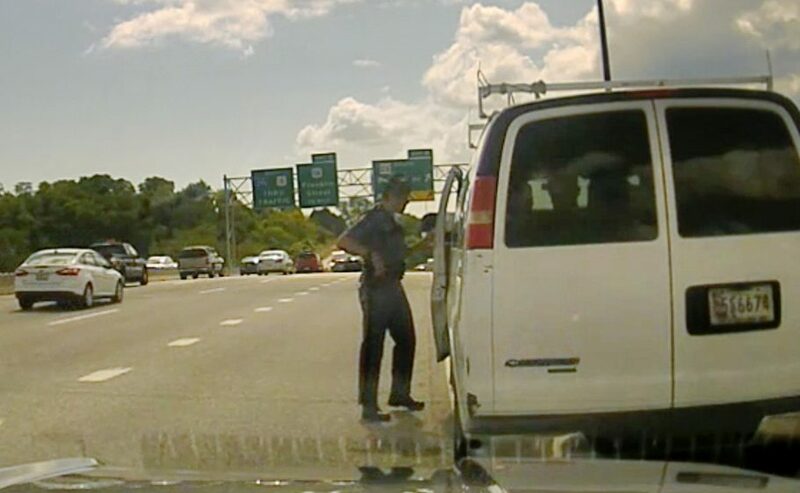 Minutes before he decides to write a ticket, Burke told Arsenault, the ICE officer, that he would hold them “for as long as you want.” Arsenault, who was in Massachusetts and did not arrive on the scene, said it would take about 20 to 30 minutes for someone to get there. 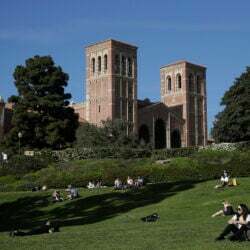 Staff reporter Matt Byrne contributed to this story.